Just as you have a primary care doctor who oversees your health, a general dentist manages your overall oral health. Dr. Vivian Mauriello and Dr. Joseph Mauriello, of Mauriello Dental in Fort Lee, New Jersey, are both trained in general dentistry and provide comprehensive dental care to every member of the family. From routine cleanings to restorative procedures, the dental experts at Mauriello Dental ensure that your teeth and gums perform their best. Call or book an appointment online to cover all your dental needs. General dentistry covers a broad range of dental issues that have a cascading effect on your overall health and wellness. If you consider that your teeth largely govern your nutrition, good overall dental health means that you can adequately provide your body with the energy and nutrients it needs. In addition to this role, your teeth also play a significant role in how you talk and communicate facial expressions. The goal of general dentistry is to ensure that your teeth and gums are performing these functions as best they can. 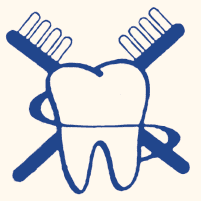 What does general dentistry cover? This list is by no means comprehensive. Whatever your dental issue, the experts at Mauriello Dental work with you to resolve it as quickly and efficiently as possible. Does general dentistry include preventive care? Yes! One of the most significant advantages of choosing a dentist that offers comprehensive care, such as Dr. Joseph Mauriello and Dr. Vivian Mauriello, is the role they play in prevention through regular checkups designed to monitor your tooth and gum health. Tooth decay and gum disease are the primary culprits behind most dental issues, and vigilant monitoring and early treatment are vital in preventing these conditions from causing irreparable harm. In fact, this same monitoring can also detect early signs of oral cancer. By preventing or catching conditions early, general dentistry offers you the chance to maintain optimal oral health by avoiding more significant issues and complications. Is teeth cleaning part of general dentistry? One of the first lines of defense in good dental health is professional cleanings, which play an integral role in your oral health. The dental hygienist at Mauriello Dental provides a deep cleaning that daily brushing and flossing can’t accomplish, leaving your teeth and gums free from problematic plaque buildup. To find out how general dentistry can benefit your family, call Mauriello Dental, or use the online booking tool to schedule an appointment to get started.